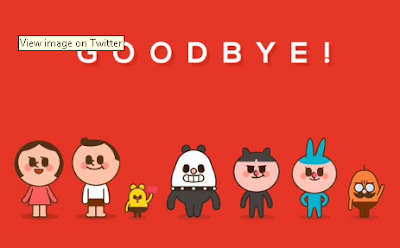 Home Apps News Smartphone Goodbye : The Path Is Officially Closed! Goodbye : The Path Is Officially Closed! Goodbye : The Path Is Officially Closed! - Hello friend Movoty Blog | MOVe On to TechnologY at Movoty.com. On this article you read this time with the title Goodbye : The Path Is Officially Closed! , We have prepared this article well for you to read and take the information in it. hopefully the contents of the post Articles Apps, Articles News, Articles Smartphone, That we write this you can understand. okay, happy reading. Title : Goodbye : The Path Is Officially Closed! links : Goodbye : The Path Is Officially Closed! Path finally confirmed the news about the closure of their services. This news was spread by Path on their official website and Twitter account. On the @path account on Twitter they say they are very sorry if the Path service will be stopped soon. And for more information, they direct users to a page on the official website. In addition, Path provides a tutorial to download all the content that has been uploaded to the service, such as photos, videos and text. At the end of his official statement, Path thanked him for the opportunity given to serve its users. Thus the article Goodbye : The Path Is Officially Closed! That's an article Goodbye : The Path Is Officially Closed! This article will be useful for you all. okay, see you in other article posting. Do not forget to keep visiting on Movoty Blog | MOVe On to TechnologY at Movoty.com.